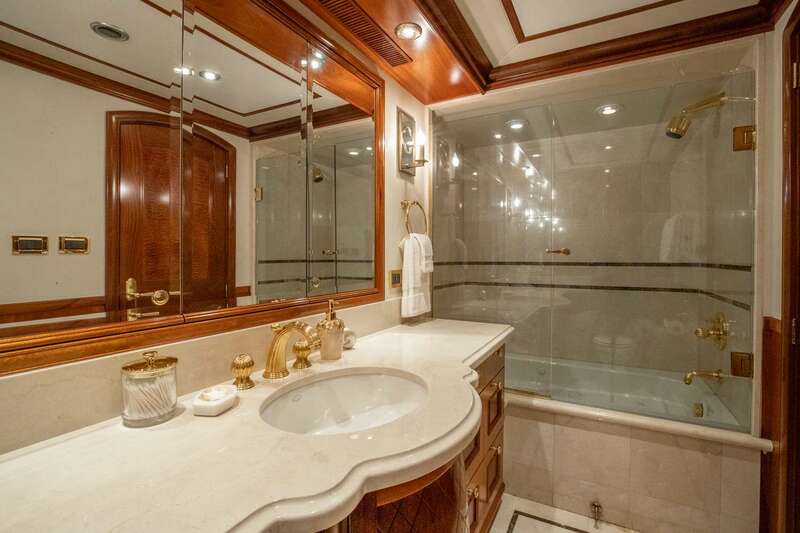 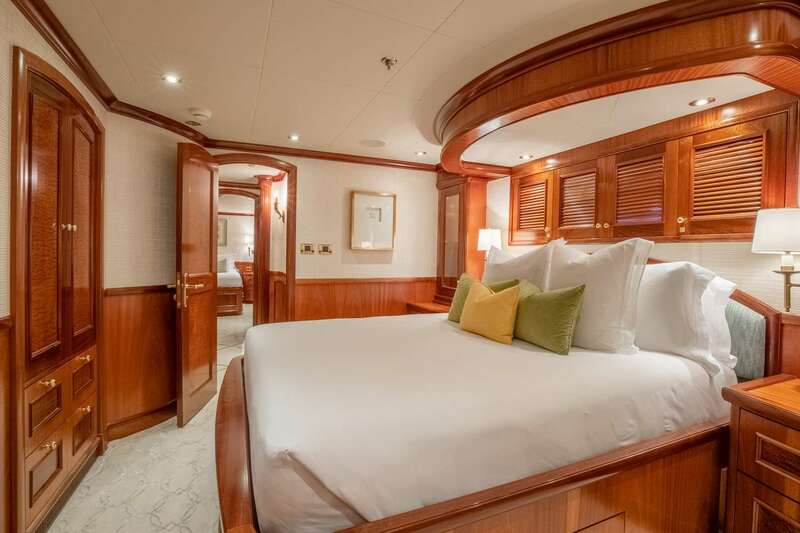 TCB epitomizes luxury charter, with elegant accommodations and attention to detail throughout. 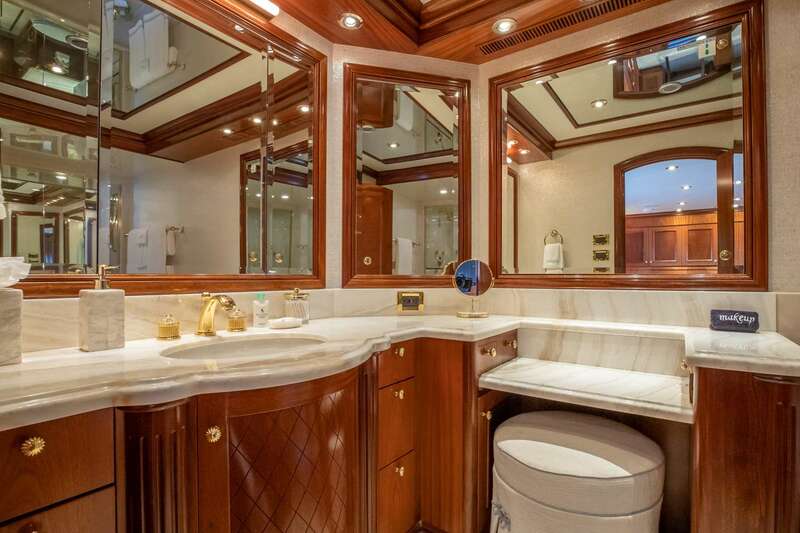 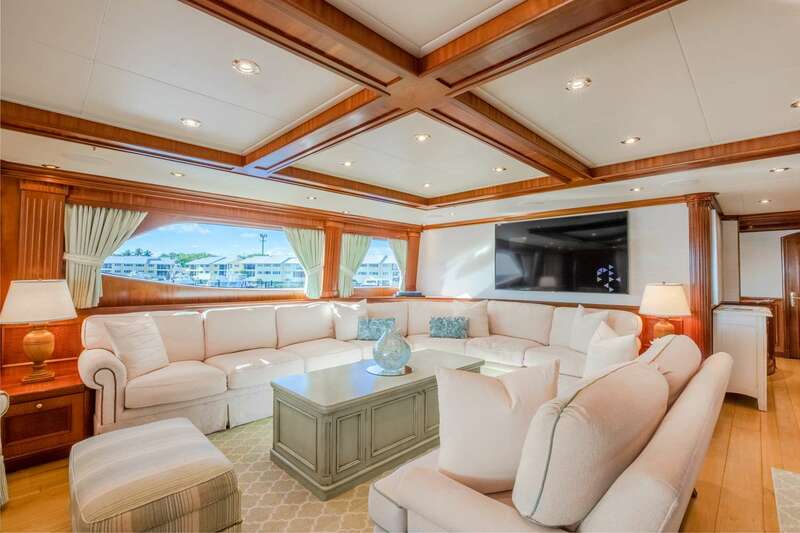 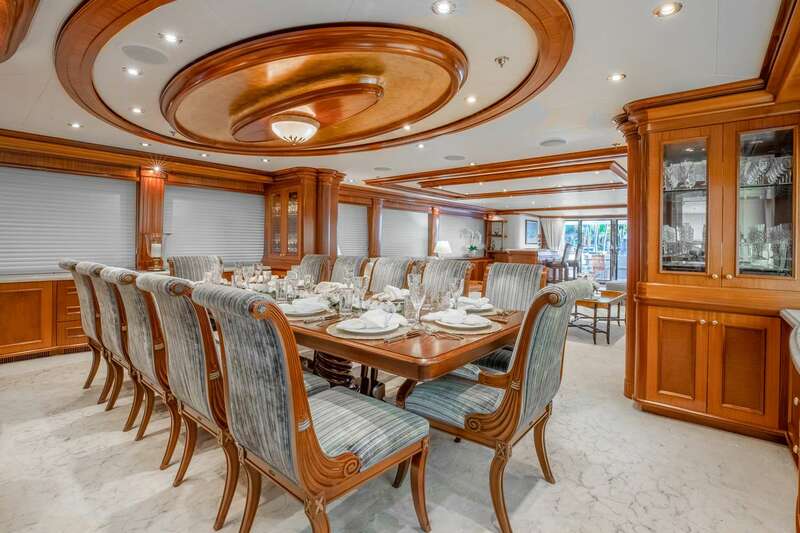 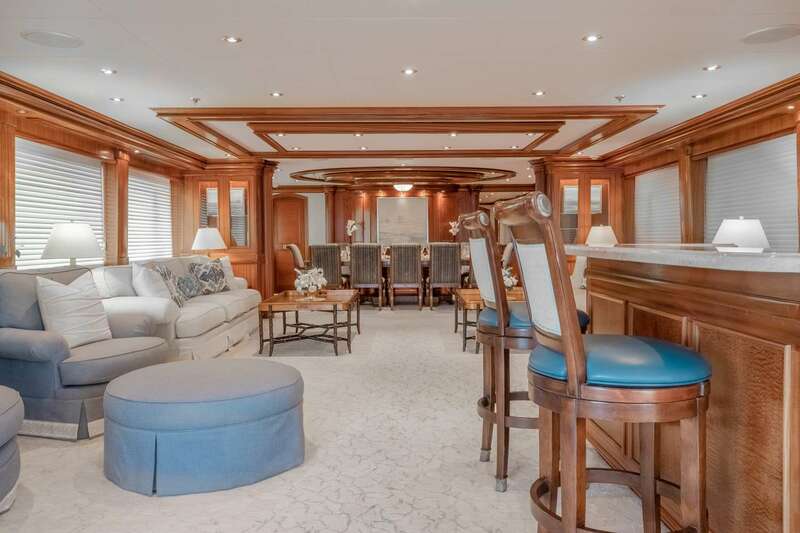 She boasts a spacious interior including an on-deck Master suite, a lovely main salon and an inviting skylounge. 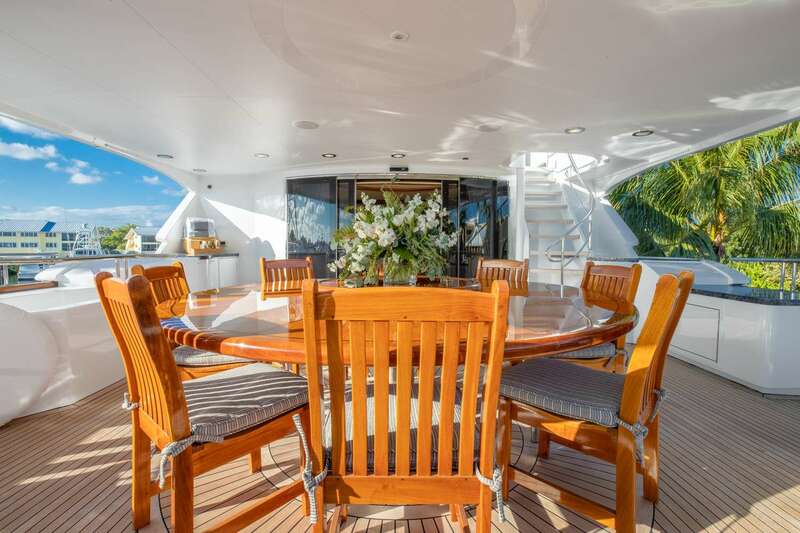 Her exterior deck spaces do not disappoint, offering vast seating areas, al fresco dining and a large sun deck perfect for enjoying the stunning views that the Bahamas has to offer! 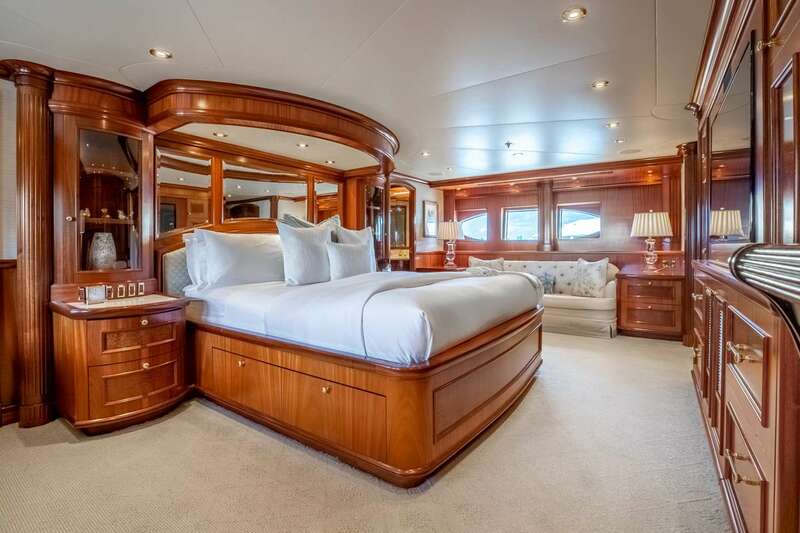 TCB's interior layout sleeps up to 12 guests in 6 rooms, including a master suite, 1 VIP stateroom, 2 double staterooms and 2 twin staterooms.